If you are moving abroad and need a professional, reliable removals company, look no further than the specialists at Edwards Removals. We offer an overseas removal service of the most superior standard and execute both European and international moves of the highest calibre. We can carry out removals to any location worldwide, regardless of the size of the consignment, and use either 20 or 40 foot shipping containers depending on your requirements. We take care of every aspect of your international move, including export wrapping, unpacking and reassembly of furniture at your destination and we can even help with customs clearance and necessary documentation. So whether you require an international or European removals service, get in touch with the experts at Edwards Removals for a luxury, first class service. 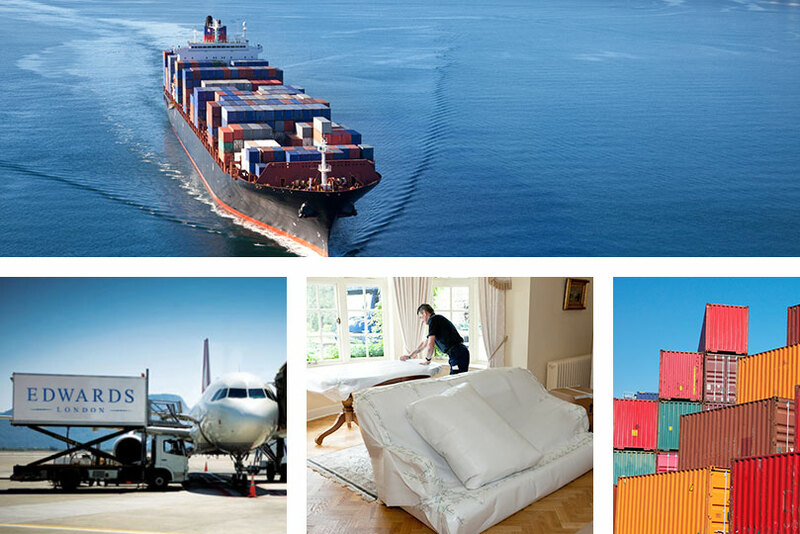 We have regular shipments to most destinations around the globe and undertake frequent relocation projects to the Middle East, USA and Australasia.